For our intake team April came in and and went out like a lion. Things around here don't seem to be letting up so to bring everyone up to date on all the PAWsome FURever homes we are gonna do a big FURever PARTY Post! 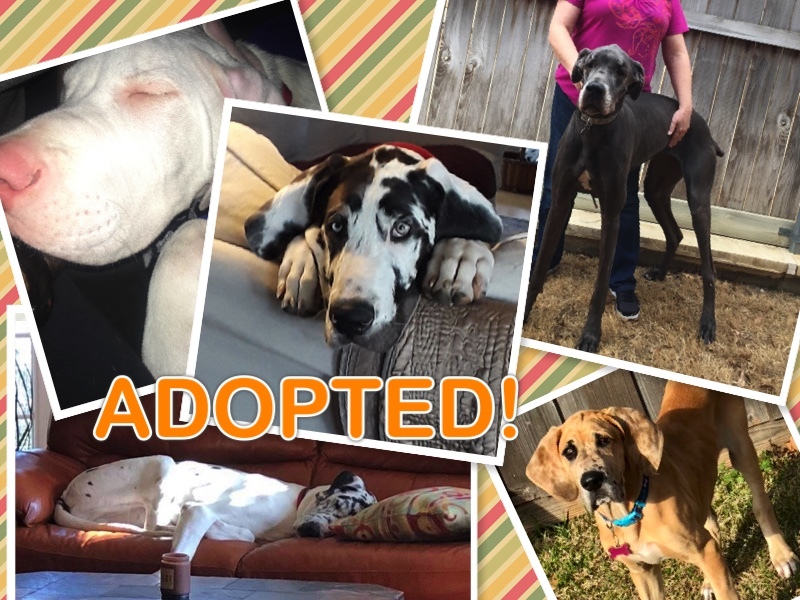 We want to CONGRATULATE Elvis, Frosty, Hugh, Olive, Rocky, Rudy and Bailey! Yup still catching up lol... Just because we are late sharing FURever stories doesn't mean they are not happening! 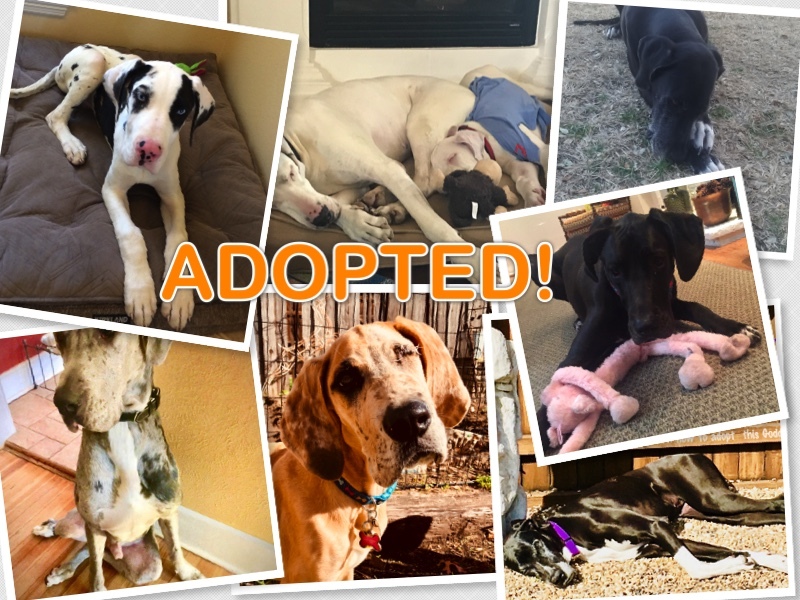 Things around here are super busy when we have puppies and in February 3 of our special needs double merles found experienced FURever homes who will not only love them but are totally qualified and experienced to make sure these puppies grow into awesome family members! 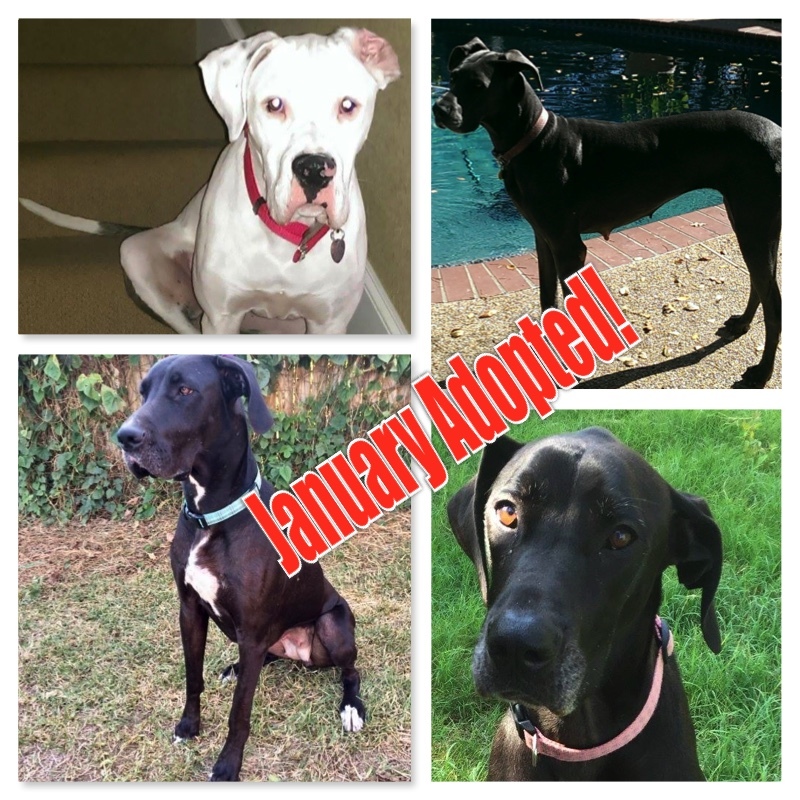 Four of the Five adoptions in February went to past adopters who have adopted more then one dane from us over the years. One of the biggest compliments to our organization is when people come back to us for their newest FURkid. 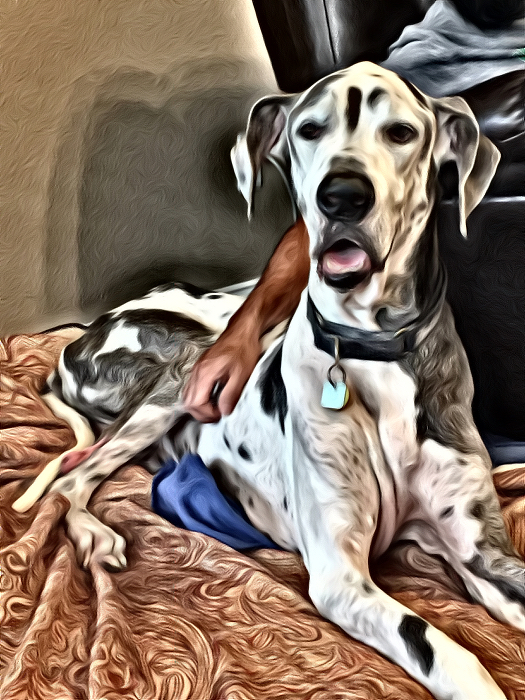 GDRNT has been at this since 2001, and some of our adopters have been with us since year 1. I tell new adopters that we do not adopt and run but are here to support adopters for the duration. So CONGRATS to all our adoptive families new and old and welcome to the GDRNT Family. WE have been busy and need to catch up on some FURever homes so lets start with January. Isa- came to us from a small area shelter underweight and not feeling great.. but wow what a great spirit this girl has. It was pretty much love at first sight for her furever family and now this beautiful girl has a loving family who loves her tons! Read more about January Adoptions! Read more about Catching Up on FUREVER Homes! 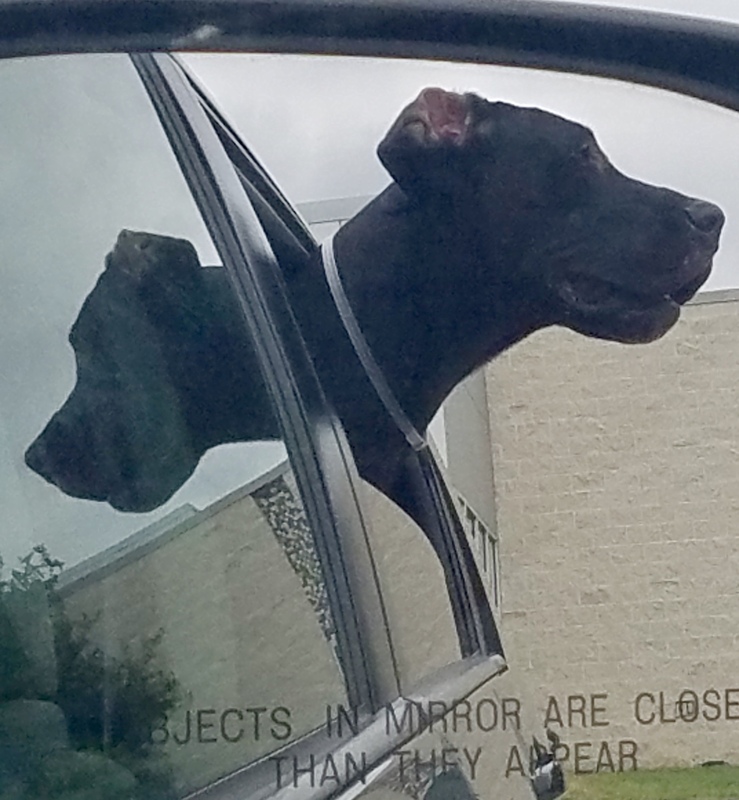 Curious George always wondered what life in an amazing FURever home would be like, but not any more! George came to rescue from a local shelter where he found himself. Shelter staff contacted us about this young dude who was not doing well in the shelter. Boy did he bloom in foster care! George lived up to his name and is curious to see who will pet him next, what lap he can warm or toy he can have. 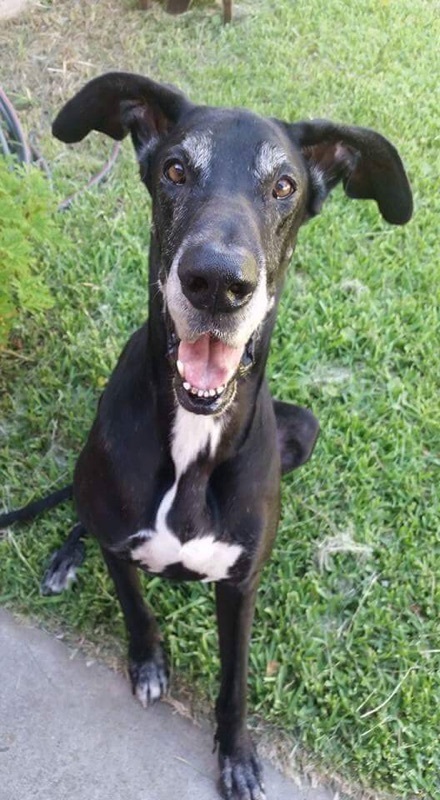 Read more about Rocket has Landed on Forever Home! Motley has found his Crew! Motley is one cool dude and he now has found his FURever Crew! 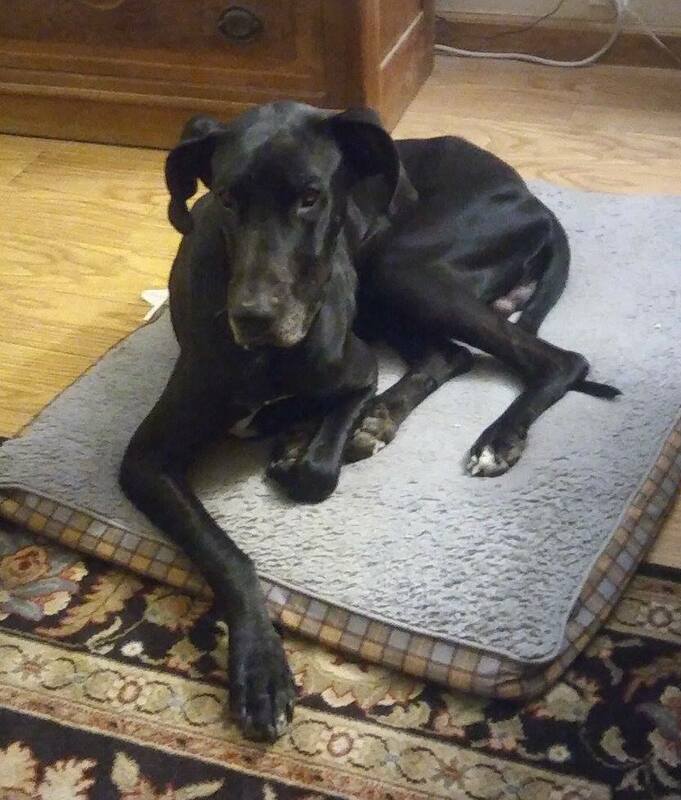 He came to rescue skinny and not feeling great but he is fully recovered and found his perfect FURever family. Motley always wanted a human his own humans and now he has found the besets Forever family perfect for him. Thanks to all our volunteers and his adoptive family who made all this happen! 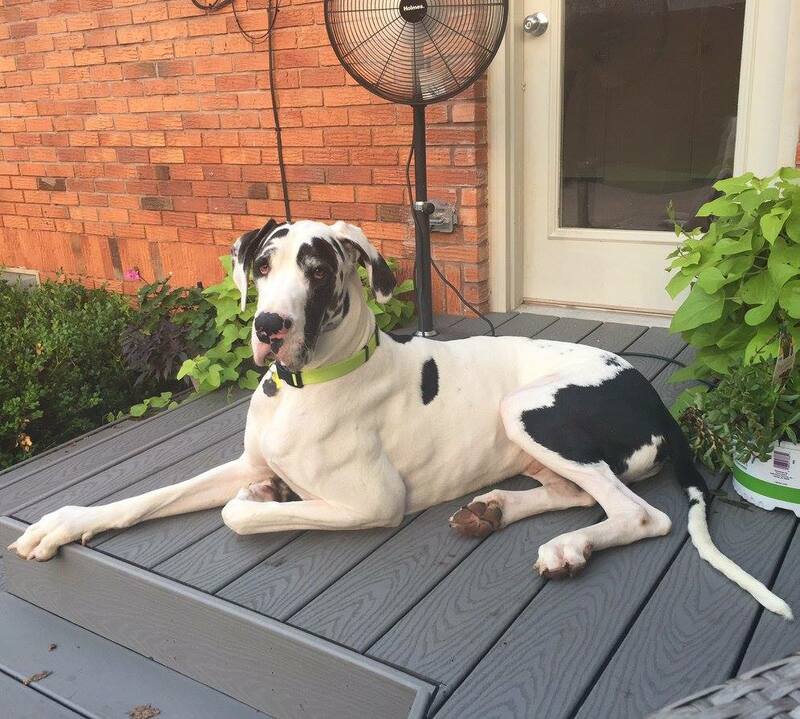 Read more about Motley has found his Crew!